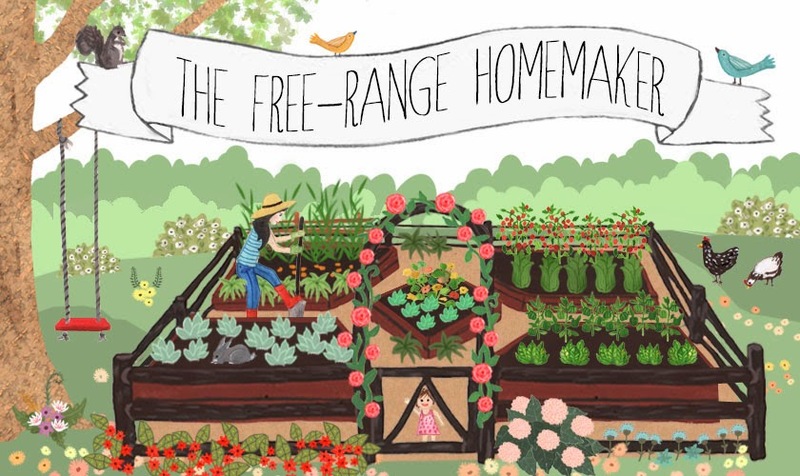 The Free Range Homemaker: Non-toxic Pedicure - Springtime Toes! This is the day that I put away my Uggs and paint my toenails pink. 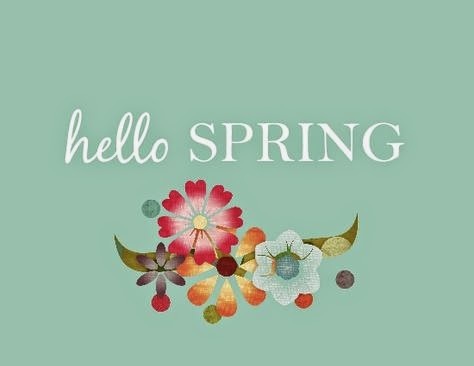 It is a springtime rite of passage for me and declaration of a new season. No more surprise cold fronts. Time for ALL my bulbs to pop up. Pink toes. Ed always notices too, which I think is really cute for a clueless beauty guy- "pink toenails, must be Spring!!" I love a good pedicure, but have a hard time paying $40 when I feel I do a better job myself. Since I've converted to non-toxic products I have a few new favorites when it comes to my toes. Poofy Organics makes a nail polish remover that I think that every woman needs to own (or man if nail polish is your thing). I don't think that anyone doubts how toxic traditional nail polish is - I put the cap back on as soon as possible to keep all the fumes and chemicals in! This remover is very different and is oil based with no offensive chemical smell - it scores a zero on EWG. It does take several more swipes with the cotton ball to remove ALL of it. Cutex always leaves a little polish behind in a groove or corner and Poofy removes everything. Your nails will also look healthy and nourished by the oil - they'll be so happy and appreciative. Seriously good stuff! My favorite peachy pink shade "Trout Pout" - love the name!! 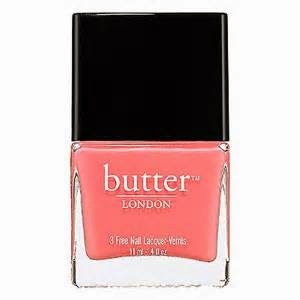 I'm a big fan of Butter London and their 116 gorgeous shades of polish. 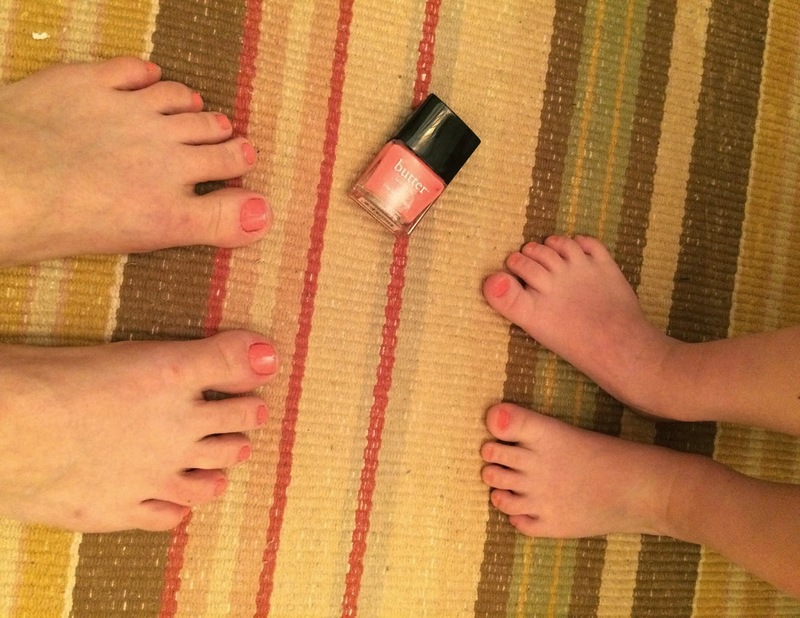 My polish tastes are pretty conservative with peachy pinks and reds, but they have fun options covering the whole rainbow - Nordstrom has a great selection. Butter was the first company to sell non-toxic nail polish in the US and all their lacquers are "3-free" meaning they are formulated without formaldehyde (known carcinogen), toluene, and DBP (both reproductive toxins). These three toxins were banned for use in cosmetics by the European Union in 2004. Sure would be nice if the US cleaned up their safety standards and stopped allowing ingredients KNOWN TO CAUSE CANCER in personal care products - drives me batty!! I found this exfoliating remedy on Pinterest and have wanted to give it a try every time I see my crusty winter heels. I'll spare you my before pictures… I followed the instructions and soaked my feet in warm water with a cup of Epson Salts for 30 minutes. My feet fit nicely in our big stainless soup pot. I was imagining the spas in Asia where the little fish nibble the dead skin off your feet. The instructions say to use a toothbrush to brush off excess skin. That didn't seem nearly coarse enough so the best thing I could find was my Libman dish scrubber( although I would have used a brillo pad if I had one). My feet weren't that bad, but a toothbrush certainly wasn't going to accomplish a thing. They seemed much The true test though was how they fared during my hot bath that night. You know how the dead crusty heel skin turns white after soaking in water? Mine were nice and pink - no white gunk!! SUCCESS!!!! I'm trying to convince Ed to do it - that would be the true test. 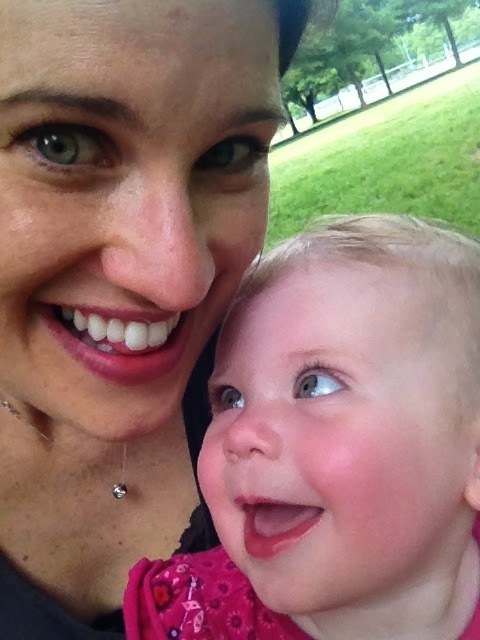 Enjoy your pretty non-toxic pedicure and the beautiful Spring weather! I know quite a few people who suffer from cracked heals, and I’ll share this remedy with them for sure. Thanks for the awesome idea!